Adopt-A-Team | Philadelphia Lone Star F.C. Philadelphia Lone Star FC Women are proud to introduce the ‘Adopt-A-Team’ program where our players will connect with local girls soccer teams to provide season-long soccer and life-skills lessons as well as invitation to attend our WPSL home games as honored guests. Additionally, all adopted teams will be entered into a ping-pong ball drawing where eight lucky teams will be selected as pre-game player escorts. One player on each of the eight teams will be voted by her teammates and coaches as our honorary captains of the game. Clubs can also ‘Adopt a Philadelphia Lone Star FC Women player’ for the season by donating to Philadelphia Lone Star FC to cover travel and registration fees for the selected player. In return, the club will be listed in the Media Guide and will receive its own Philadelphia Lone Star FC Women warm-up jersey with the selected player’s name & number printed. Lastly, organizations or individuals can sponsor a player for the entire season through our ‘Player Sponsor’ program for $300.00 at https://www.philadelphialonestarfc.com/player-sponsorship. Philadelphia Lone Star FC is a 501 nonprofit organization so your donation is tax deductible. 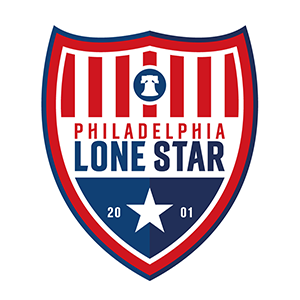 To apply for the 2019 Philadelphia Lone Star FC Women’s Adopt-A-Team program, please email our Youth Outreach Coordinator, Emily Geliebter at [email protected] or call (215) 771-2110. For more information about Philadelphia Lone Star FC Women, please visit the team’s page at https://www.philadelphialonestarfc.com/women.